With over 25 years of Christmas-tree growing experience, we can happily assist you in finding the perfect tree for your home or business. Come visit our barn for a snack or sip of hot apple cider, or build your own wreath with fresh greens and holly. Our healthy green trees are kept happy with all-natural care. We feature large Nobels and Grands, with ranging form 6" to 20" or taller. Come on out and see what we have been working on! Family Run & Family Friendly! 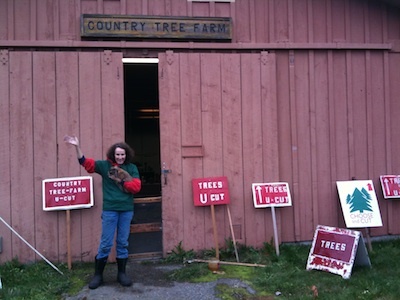 Our Farm is a member of the Pacific Nowrthwest Christmas Tree Association, where our business is listed. The Country Tree Farm has 4 acres of elegant, fragrant Christmas trees, with a wide variety of ages and heights. Have a room with a vaulted ceiling or a business needing some holiday cheer? 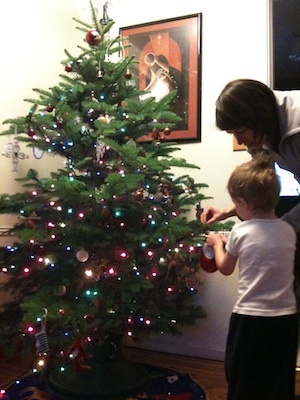 Take a look at our trees: up to 25" tall! Our full size barn is a favorite spot of the children of our regular customers. The classic wood-burning stove will keep you warm, or take a cup of hot cider with you during your time browsing the trees. 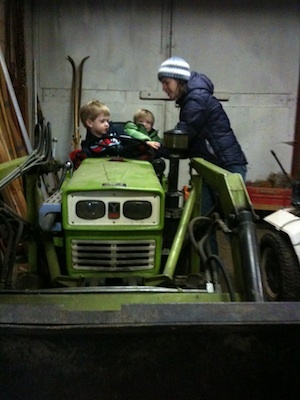 A tractor or two will keep younger children entertained while you design and build your own fresh wreath. We hope you"ll stop in! 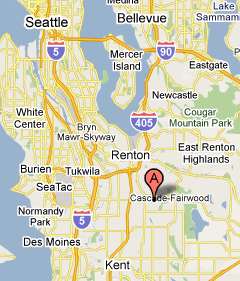 We are conveniently located within a short drive of Seattle, Bellevue or Federal Way. Just minutes from downtown Renton or Kent. Design templated, implemented by deCielo Creative Collective. © 2010 Country Tree Farm.